I penned an article for big boaters to consider the virtues of small boat camp-cruising on the Cascadia Marine Trail. I also wrote my first article for Small Boats Monthly, a subscription-based, on-line journal from Woodenboat. And there’s a funny story about building a boat in a basement that I had published in the last issue of Small Craft Advisor. As for other people’s writing, there are several blogs about a life well considered that I recommend you check out: Sauvie Island Journal details observations from a houseboat and small boats right at the intersection of my two local rivers. Then there’s From Pine to Palm, which is all over the place, but has a boat undercurrent solidly grounding it. Last is Wayward Spark, about modern day, back-to-the-landers who seem to balance their iphones easily with beekeeping here in Oregon. I find myself jealous, not of your writing skills (which are vastly better than mine), but of the places you can go with your boats. Living here in NJ, if it is not a power boat, there is little in the way of infrastructure. No “trails” and very few places to sail except in the ocean itself. Not a good place to be a fan of small boats. We are pretty lucky here in the Pacific NW to have a sound, a few navigable rivers, and an ocean. We have our share of yahoos here too though. 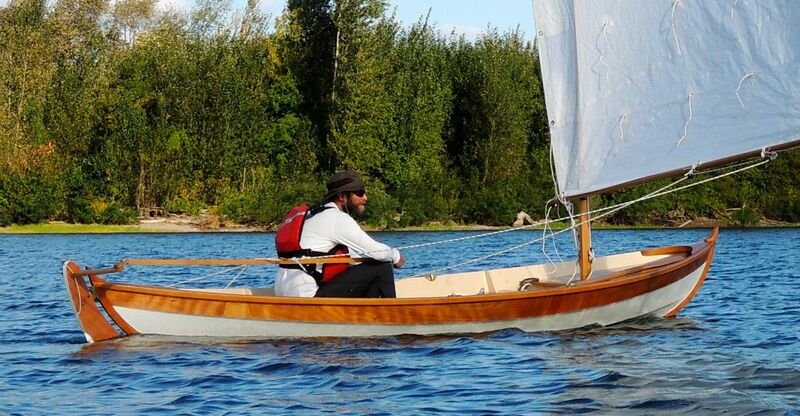 Have you checked out your nearby Traditional Small Craft Association? Thanks for your shoutout on my Sauvie Island Journal. And congratulations on your published articles. Wonderful!